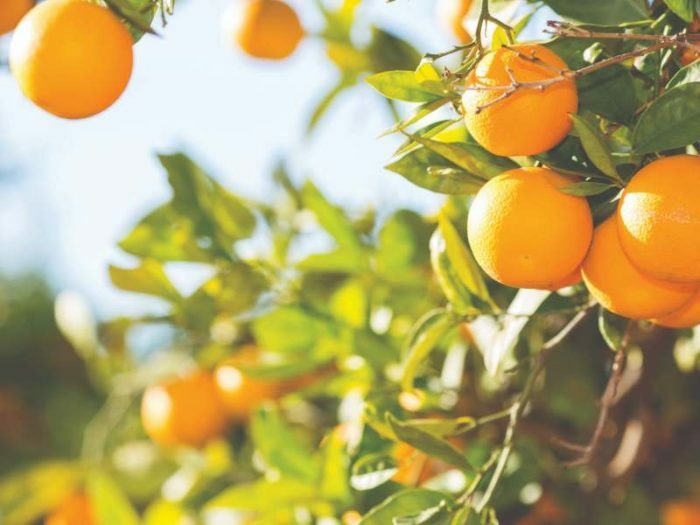 Citrus has a truly rich heritage in The Sunshine State. Citrus has been in Florida since the Spanish arrived in the 1500s and positioned as a major facet of the ag industry since the 1800s. The Citrus Hall of Fame has been honoring those who have made significant contributions to the citrus industry since its inception in 1962. Each year, the organization accepts nominations from the public and a committee chooses to honor a handful of individuals by inducting them into the Florida Citrus Hall of Fame. Join us at Central Florida Ag News in honoring the three inductees of 2019! His accomplishments include helping growers form the Highlands County Citrus Growers Association in 1990, helping the Highlands 4-H program grow to over 500 members, teaching at Florida Southern College, winning numerous awards as a Certified Crop Advisor, and ending his illustrious career as a center director in Highlands County. He also passed his love of citrus on to the fifth generation as his daughter, Laurie Hurner, followed in his Extension footprints and is now the director of UF/IFAS Extension in Highlands County. Richard Kinney was a successful Florida citrus grower, but his passion and his legacy concerned advocating for Florida citrus through government channels. He was known as a “bulldog on a soapbox” when it came to supporting the fresh citrus industry, and he started his advocacy as an ag liaison for Representative Andrew Ireland, continuing that role for former Governor and Senator Lawton Chiles. In 1983, he accepted the role of Executive Vice President for the Florida Citrus Packers, a hat he wore with pride and determination until retiring in 2012. During those years, Kinney was described as a tireless advocate in both the state and federal government. One of his greatest achievements was advocating and utilizing scientific research to achieve the repeal of a USDA policy that restricted the shipment of Florida citrus to other citrus-producing states due to fears over citrus canker. He also focused on maintaining export markets and trade regulations, packaging issues, import dynamics, and other topics important to the fresh citrus industry. Even after retirement Kinney continued working as a citrus consultant and advocate up until his premature death in 2015. Peter McClure is a fourth-generation Florida citrus grower with a lifetime of work dedicated to citrus. He earned a Bachelor of Science degree in Citrus Business from Florida Southern College. He put his knowledge to work as one of the founders of the Florida Citrus Production Advisory Council in 1991, which morphed into the Citrus Research and Development Foundation (CRDF), earning McClure the nickname of “the godfather of the CRDF.” The foundation’s mission is to “advance disease and production research and product development activities to ensure the survival and competitiveness of Florida’s citrus growers through innovation,” with citrus greening being public enemy #1. To date, the foundation has funded millions of dollars of research aimed at improving the Florida citrus industry. McClure’s dedication to furthering the Florida citrus industry has earned him numerous awards, including the Florida Grower Citrus Achievement Award, the Florida State Horticulture Society’s Outstanding Commercial Horticulturist Award, and the Saint Lucie County Conservationist of the Year Award. He is currently a Florida Master Naturalist, an elected member of the Board of Supervisors of the North St. Lucie River Water Control District, and the chief agriculture officer of TerViva, an AgTech company looking to “make better use of land given declining natural resources and rising demand.” They have locations across the country, and McClure works out of their Fort Pierce office. The 2019 nominees to the Citrus Hall of Fame were announced in late December of 2018. An award banquet—the 57th Citrus Celebration Luncheon—will be held on March 8 at Florida Southern College in Lakeland. Tickets to attend the event are $100 per attendee or $1,500 for a sponsored 8-guest table, and they can be purchased by calling Florida Citrus Mutual at 863-682-1111 or by visiting the Florida Citrus Hall of Fame website.